Good to have you back Ash. Just curious, given this motley crew, who would you like to see win? I really like Derrick and I know he deserves to win but lately Caleb has been making some improvement and after the jury house clip, I don't know if anyone will vote for Derrick. He seems to have really ticked them off. Maybe they will vote for him if he were to take Frankie but I just don't know. I have super mixed feelings this season. I really hope they do an all-star season and bring back Donny now that he knows the better route to take. Welcome back Ash. You've been missed. Shultz, I didn't get the feeling that the jury was bitter toward Derrick, more in awe that they were duped. I think the only one to maybe beat him in the final would be Frankie. I had the feeds on in the background, while still trying to give my attention to President Obama's speech and following commentary , but it appeared to me that Victoria still expects someone else( Derrick) to save her this week. She learned nothing this past week. While everyone else was studying the memory wall, she's unpacking and putting on make up. Unbelievable. I had started to root for her but now I truly find her totally clueless and wouldn't mind Frankie winning the veto and her getting the boot. GIRL SAVE YOURSELF! Maybe then she can get some respect. Still wanting Frankie out this week. He is the only one I don't want anywhere near the F2. Thanks guys! I will try to post more often this week if there is more to post about. Shultz, I have to agree with Kim. I didn't feel like the jury was bitter towards Derrick. 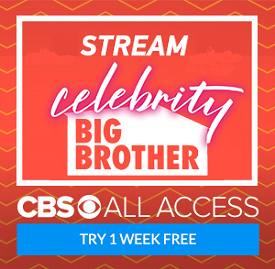 I think their thought pattern is that Derrick and Frankie are playing the best games, and they will be voting for one of them in the final 2. Christine and Zach both mentioned being impressed by Derrick and liking him, and I think most of them feel that way. They just now realize that he is the reason most of them, if not all of them, are there. As far as who I would like to win... I honestly don't know that I care who wins at this point. I think as far as game play goes, Derrick should definitely take it. It pains me to say it, but Frankie (game play wise ONLY) is right up there with Derrick, and if he made it to the final 2 with Cody or Caleb, he would deserve the win. Again I stress, that's ONLY on his comp wins and manipulation of game. I CANNOT STAND him outside of that. As far as Caleb goes, he has won some competitions, but I think everyone in the house and in the jury knows that Caleb doesn't understand the game at all. Derrick constantly has to tell him and stay on him about who he is nominating and why. I do not remember Caleb making any single move for himself in the entire game. Caleb is CERTAIN that he would beat Frankie, Derrick, or Cody in the end, and also that he should get America's Favorite Player based on comp wins. The truth is that Frankie has won 10 comps to Caleb's 5 or 6..( I can't remember how many) and Caleb hasn't played any game when it comes to deciding who to nominate, who he wants out, or who he wants to go home. Yea I guess it was more shock than anything. I just hope Christine doesn't get in anyone's ear. I mean I really want Derrick to win. I have to say this. I'm ex military, like Caleb. When you join the military, you swear an oath to the United States and that you will respect, honor and obey the Commander In Chief. Before the show began, Caleb made public comments in which he referred to the Commander In Chief as a "Muslim monkey from Kenya." That is disrespectful of the president who is still the Commander In Chief. Caleb is milking his military service on this show. He has cast off his right of respect by his ugly, false and racist comment about President Obama. I have no respect for Caleb and I feel that he deserves no respect for his service after his remarks. Glad you're back Ash. I guess I'm the only one to not like Derrick...at all, I do not want him to win.....but he is! Uuuggghhh!! Ash writes: " I do not know exactly what Julie meant when she said that the jurors would be returning to the house." Check out Hamsterwatch for today and live feeds. The jurors returned to the house to return it to the mess it was before they cleaned the house this week. They seemed to take perverse pleasure in the task and also left some messages (like circling Victoria's name on bathroom door and putting x through, presumably by Zach.) Then the jurors got to participate in luxury competition where . . . SPOILER ALERT . . . . Hayden won $10K and is sharing it with Victoria. We're not really sure why, yet. Boptist - there isn't much of anything that Caleb has done that inspires likeability. He stalks people. Girls and celebrities. He sexually harasses girls. He's racist. He's an animal killer (killed a wild boar with a stick, gleefully). He's obsessed with fighting as long as he looks pretty while doing it. Surprise, surprise. He's also a RWNJ. Package deal.